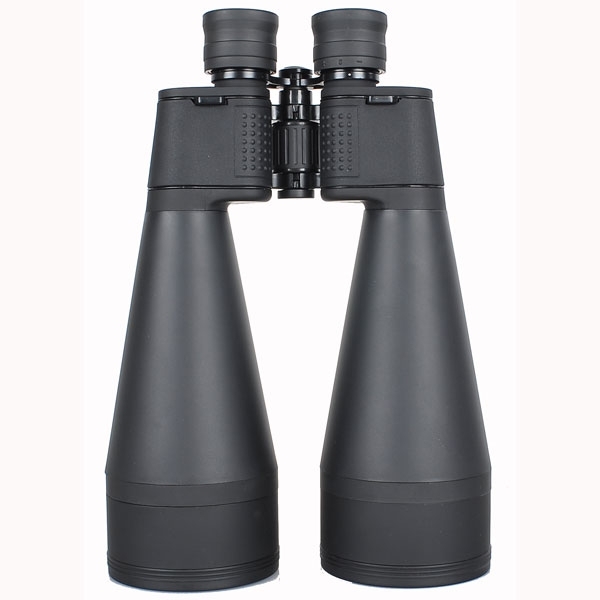 20x80 CB LW without the built-in central mount weighs only about 1.8 kgs. 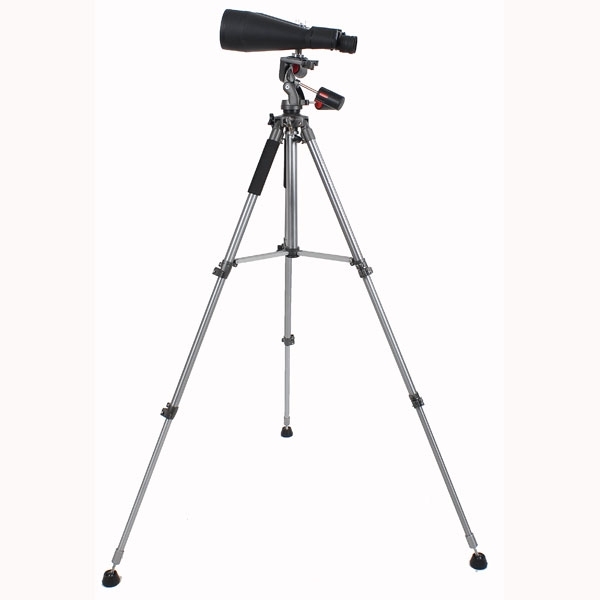 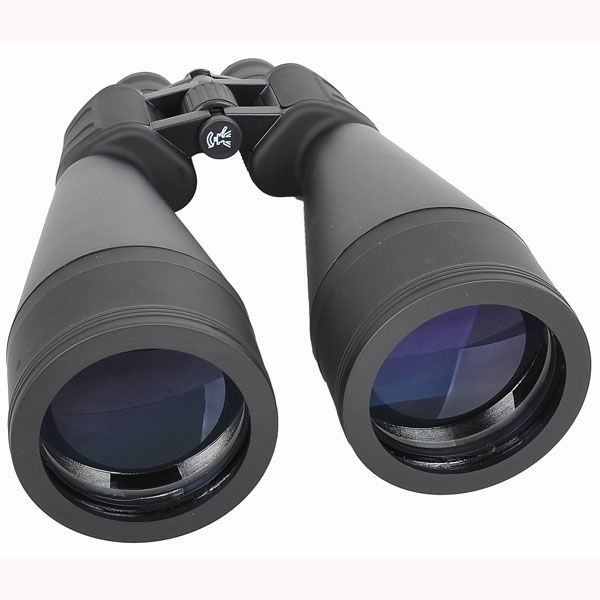 It's for those who just feel like lying flat on the lawn, watching the night sky now and then, need a binoculars to pick out a star - here a handholdable and powerful 20x80 comes in handy. 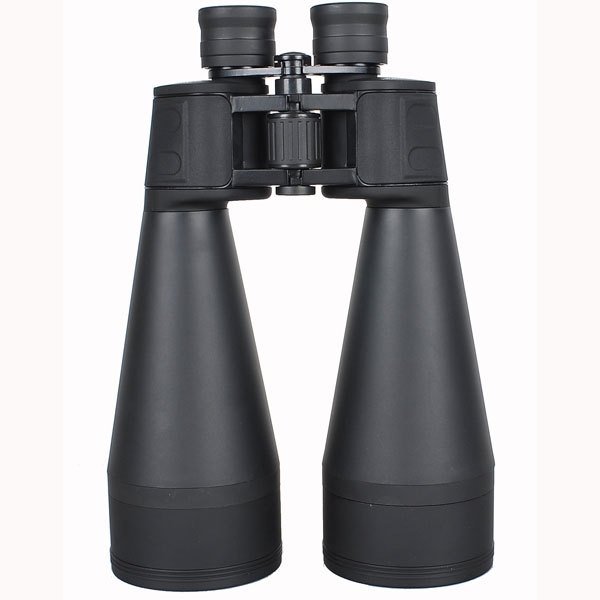 Its high optical quality (the same as 15x70 CB) will make your relaxing-style night viewing enjoyable. 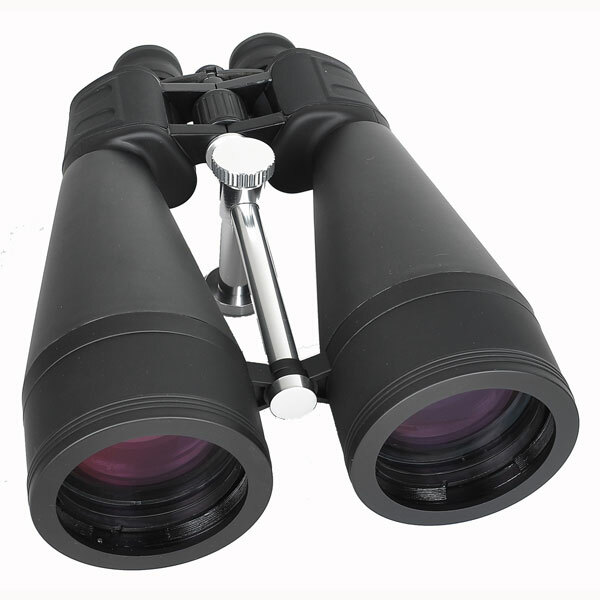 20x80 triplet has triplet objective (three-element objective) to improve the sharpness and color correction. 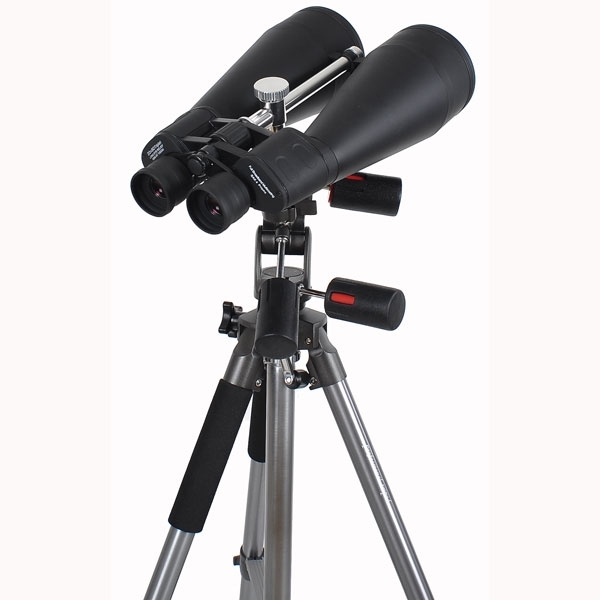 It's heavier and meant to be mounted and so it has a built-in central mount. 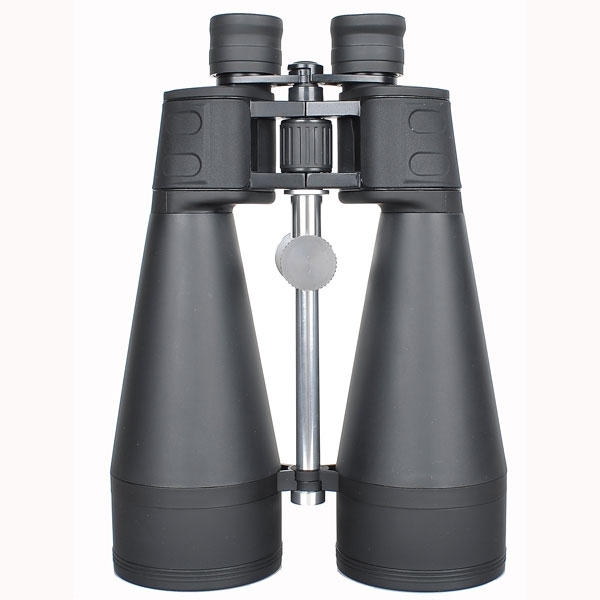 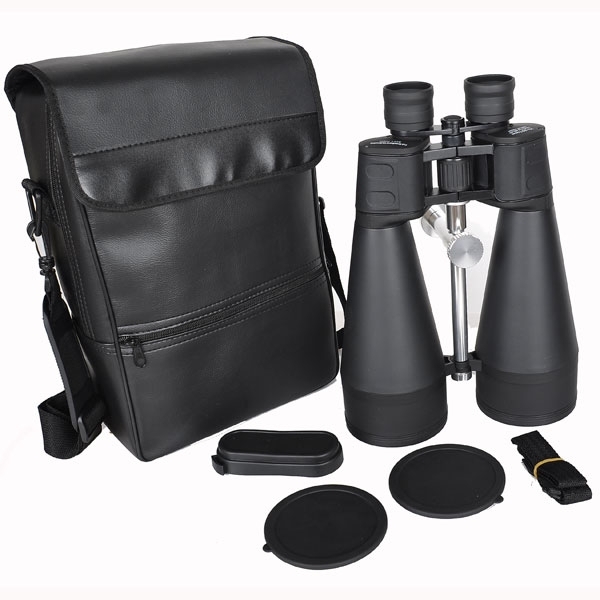 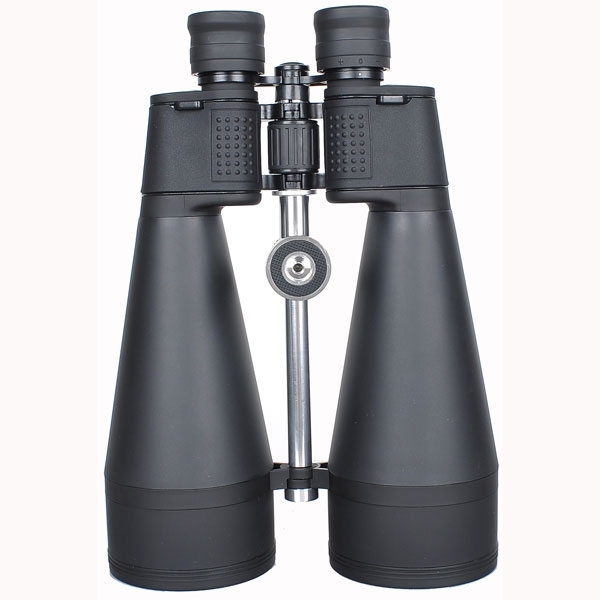 Just as 15x70, our 20x80 LW and 20x80 triplet binoculars represent the great value: high quality and unbeatable price. 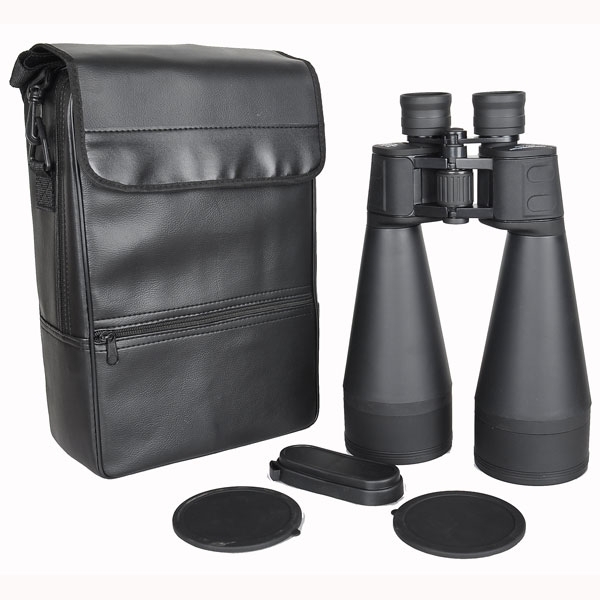 20x80 LW and 20x80 triplet have ak-4 prism, full broadband multi-coating, rubberized metal bodies, all-glass lenses, right ocular diopter adjustment, improved "slow-focus", brass 1/4-20 tripod adapter threading, case, caps, and strap.